The main goal of orthodontic treatment is to obtain a normal relationship of the teeth with facial structures. Angle emphasized that the preservation of all dental units was necessary to achieve facial balance. However, there are soft tissue constraints that limit the amount of alteration that can be performed orthodontically, which necessitates the need for extraction. The controversies regarding whether to extract or not that has been occurring for many years were often linked to personal preferences rather than scientiﬁc criteria. Extractions in orthodontics were reintroduced scien-tiﬁcally in 1930s and with the advent of Begg’s technique reached its peak in 1960s. 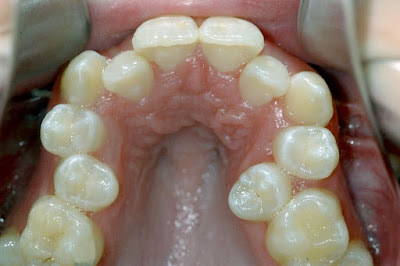 Different extraction protocols have been followed for successful orthodontic treatment and accordingly in this study the need for extraction has been elaborated.Extraction of speciﬁc teeth is required in different types of malocclusions, and the decision to extract depends on the patient’s medical history, the attitude to treatment, oral hygiene, caries rate, and the quality of teeth. The aim of this study is to provide guidelines or pro-tocols of when to extract and what to extract in cases of class I, class II/1, class II/2, and class III malocclusion.